Janet Jackson asked Tyler Perry a Question for ME…Cree!! Here is the question that I asked Janet Jackson to ask Tyler Perry. When I wrote the message I didnt leave my CITY……………………….so they GAVE ME ONE AND SAID that I\’m from Atlanta Georgia!! Talking about steming. Thats why he had that look on his face, he knows Im from Detroit. LOL He probaly was thinking dang………………is it 2 Lacrease\’s? Watch it to the very end. In the begining I guess they are going over the questions and somehow they end up talking about the pronouncing of my name. But the question is asked during the middle of the segment. 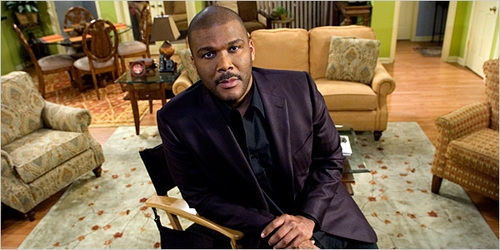 Previous postMy Tyler Perry Weekend!